Looking for a beadlock wheel for your Nissan Patrol? Well look no further. 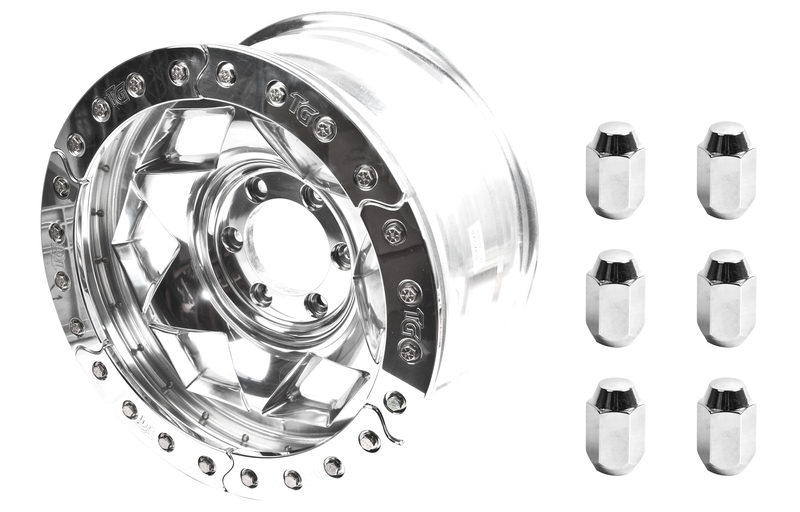 Trail-Gear is now offering our Creeper Locks™ Beadlock Wheels for the Nissan Patrol. What are Creeper Locks? Creeper Locks are TrailGear’s Trail-Gear price! Creeper Locks are 17″ X 9″ wheels with a backspacing of 3.75″ and are made from a solid piece of aluminum. This wheel has a 4.37″ (111mm) center bore. Each wheel weighs a whopping 45 lbs with locking ring and hardware. These are no ordinary aluminum wheels, Creeper Locks™ are super tough and built to last. Each wheel is cast with the inner beadlock as part of the wheel. All 24 of the bolt holes on the wheel have steel Time-Serts® installed to prevent the bolts from galling. Drop down inner lip centers tire on to wheel during mounting. Six M12-1.25 lug nuts are provided with each wheel.